THE SCHOOL OF LIFE IS DEDICATED TO EXPLORING LIFE'S BIG QUESTIONS IN HIGHLY-PORTABLE PAPERBACKS, FEATURING FRENCH FLAPS AND DECKLE EDGES, THAT THE NEW YORK TIMES CALLS "DAMNABLY CUTE." WE DON'T HAVE ALL THE ANSWERS, BUT WE WILL DIRECT YOU TOWARDS A VARIETY OF USEFUL IDEAS THAT ARE GUARANTEED TO STIMULATE, PROVOKE, AND CONSOLE. 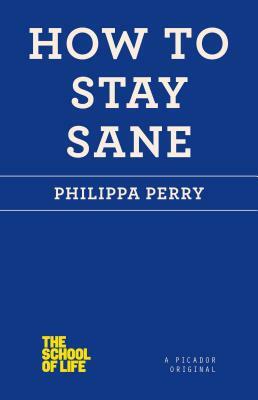 PHILIPPA PERRY is a psychotherapist and writer who has written pieces for The Guardian, The Observer, Time Out, and Healthy Living magazine and has a column in Psychologies Magazine. In 2010, she wrote the graphic novel Couch Fiction, in an attempt to demystify psychotherapy. She lives in London and Sussex with her husband, the artist Grayson Perry, and enjoys gardening, cooking, parties, walking, tweeting, and watching telly.